Danville's Full Service, Full Time Commercial Broker. 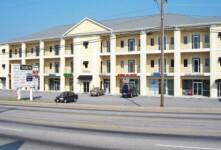 With over 40 years of experience and millions of dollars in commercial real estate sales each year you can be assured that your decisions to find,buy or sell commercial real estate in the Danville - Pittsylvania County area or North Carolina will be backed by an experts knowledge . As a community leader for many years Michael Scearce serves as a member of the City of Danville Planning Commission . With this position he has acquired extensive knowledge in many of the community's commercial code requirements that is needed to build or relocate commercial properties. This information is a great asset and is very valuable to any commercial investor. He has also served as President and a member of the Board of Directors for the Dan River Region Association of Realtors. Michael Scearce has also secured several national and local retail locations and controls an extensive database of commercial leases which gives him the knowledge to write and review leases that will protect your investments before and after you make the transaction. He is also trained to handle multiple properties and has leased many shopping centers and strip malls as a result of his expertise. Michael Scearce was also ask to help with the acquisition of land for the Danville Economic Development Council to build one of its industrial parks. Private investors have also used his services for the development of commercial retail sites and have acquired his expertise to make multi million dollar property decisions. Michael Scearce has achieved national awards in the real estate business and continues to be a top producer every year .Michael Scearce was also honored to receive Coldwell Banker’s Top Sales Associate Award, for the Northeast Region of the United States, in Gross Commercial Commission Income Earned. Continuing in his achievements each year, Michael Scearce will pass along to you his years of knowledge and expertise ,so that you can be confident that each time you make a real estate decision It will be the right one every time !